(On doing the movie "Iron Man") I'm not a kid anymore externally, and if you're going to do something like this, you want to do it while there's a very low embarrassment factor age-wise. Robert Downey Jr. If I picked for you the ten worst moments of my life, they were probably the ten most defining moments of my life. If I was a lawyer, I’d be my own best client. 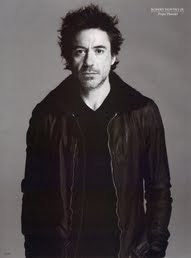 Robert Downey Jr.
No amount of effort is going to nudge somebody out of a situation that they deem is hopeless. I'm not a poster boy for good behavior and recovery in Hollywood. I'm just a guy who knows he has a lot to be grateful for. Robert Downey Jr.
Nowadays the feedback loop is so fast that you can rise, transit incorrectly, plummet, crash, and be toast in this truncated way that was never possible before.